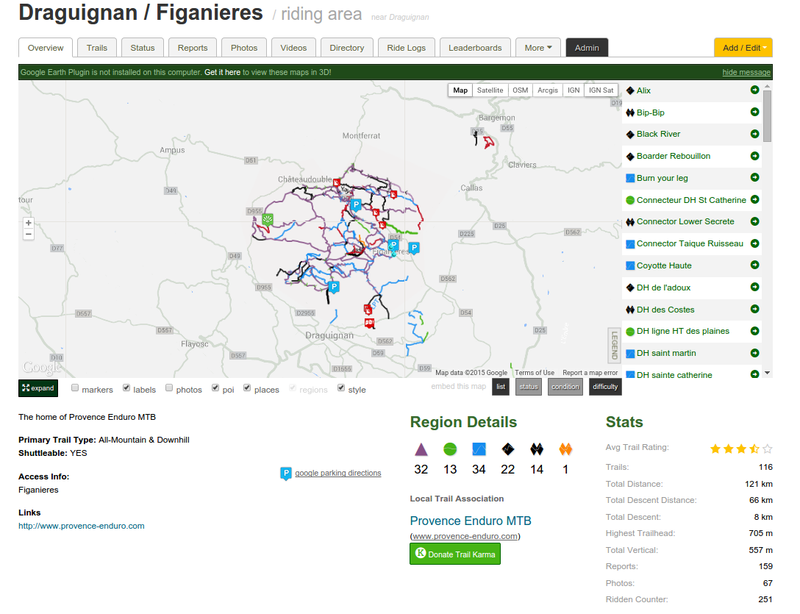 The Draguignan / Figanières area located in the Haut var region is an Enduro and All Mountain mountain bike paradise. The locals riders started to shovel and open new trails a few years ago to create a very dense network of mountain bike trails. With a very hilly terrain, some naturals features and an Enduro spirit (we called that Freeride spirit not such long ago), the result is a high quality trail network for Mountain biking. The combinaison of south of France weather and a terrain with virtually no mud result in a rideable terrain all year long. Even better, the best conditions for riding in term of grip are during the winter month when the ground has enough moisture to have a perfect grip. 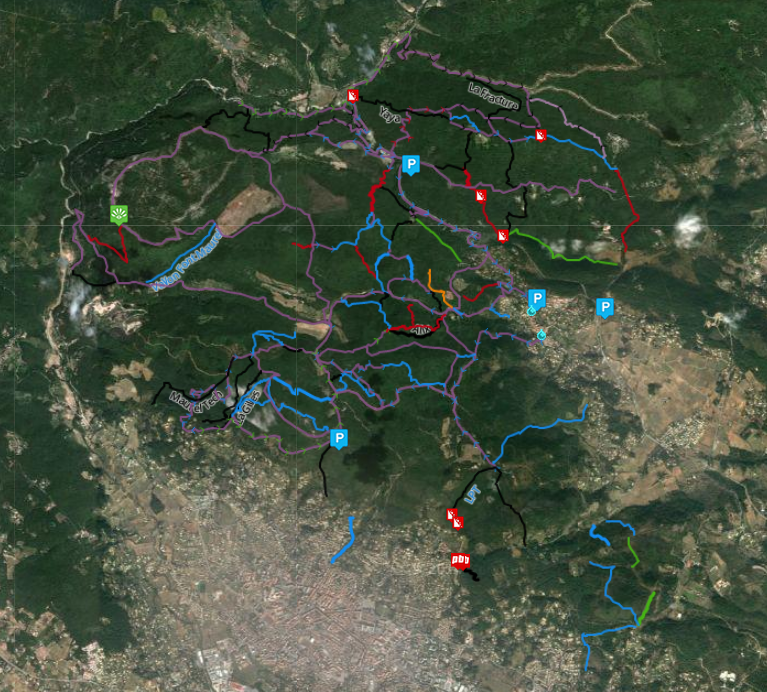 Directly from the Provence Enduro accomodation is a network of more than 70 trails from short one to long one, from easy one to very difficult for a total of more than 60 Kms of Enduro single tracks and more than 8000m vertical. Everything is so dense that it all fit in a 5Kms rectangle. For the Strava addicts, all the trails have a segment on it and some Pro and semi Pro Enduros riders rode here like The Ravanels, Maurian marnay (Tribe Rocky Mountain), Thomas Lapyerie, Matthieur Ruffray (Commencal).